I do quite a bit of reading and in my spare time I came across something very interesting. Here are some of the characteristics that describe this unique living mammal: 1) You will rarely see this creature in the open; 2) It roams freely and digs in deep, dark areas where many do not bother looking; and 3) This active being has challenged eyesight. 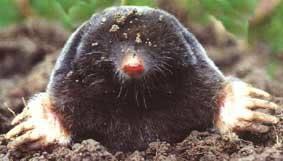 If you thought I was talking about a furry, burrowing mole (Soricomorpha Talpidae) you were on the right track, but what I actually was describing was legendary value investor Seth Klarman. He shares many of the same features as a mole, but has made a lot more money than his very distant evolutionary cousin. 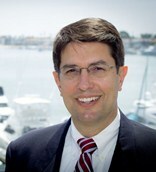 Before becoming the President of The Baupost Group, a Boston-based private investment partnership which manages about $22 billion in assets on behalf of wealthy private families and institutions, he worked for famed value investors Max Heine and Michael Price of the Mutual Shares (purchased by Franklin Templeton Investments). Klarman also published a classic book on investing, Margin of Safety, Risk Averse Investing Strategies for the Thoughtful Investor, which is now out of print and has fetched upwards of $1,000-2,000 per copy in used markets like Amazon.com (AMZN). Klarman chooses to keep a low public profile, but recently his negative views on stock market and inflation risk have filtered out into the public domain. Nonetheless, he is still optimistic about certain distressed opportunities and believes the financial crisis has cultivated a more favorable, less competitive environment for investment managers due to the attrition of weaker investors. Klarman despises narrow mandates – they are like shackles on potential returns. Opportunities do not lay dormant in one segment of the financial markets. Investors are fickle and fundamentals change. He believes superior results are achieved through a broadening of mandates. He prefers to invest in areas off the proverbial beaten path – the messier and more complicated the situation, the better. Currently his funds have significant investments in distressed debt instruments, many of which were capitulated forced sales by funds that are unable to hold non-investment grade debt. In order to make his wide net point to investing, Klarman uses real estate as an illustration device. For example, investors do not need to limit themselves to publicly traded REITs (Real Estate Investment Trusts) – they can also invest in the debt of a REIT, convertible real estate debt, equity of property (such as own building), bank loan on a building, municipal bond that’s backed by real estate, or commercial/residential mortgage backed securities. 1) Focus on risk first (the probability of loss) before return. Determine how much capital you can lose and what the probability of that loss is. Also, do not confuse volatility with risk. Volatility creates opportunities. 2) Absolute performance, not relative performance, is paramount. The world is geared towards relative performance because of asset gathering incentives. Wealthy investors and institutions are more focused on absolute returns. Focus on benchmarks will insure mediocrity. 3) Concentrate on bottom-up research, not top down. Accurately forecasting macroeconomic trends and also profiting from those predictions is nearly impossible to do over longer periods of time. These are great, but represent just a few of his instructional nuggets. 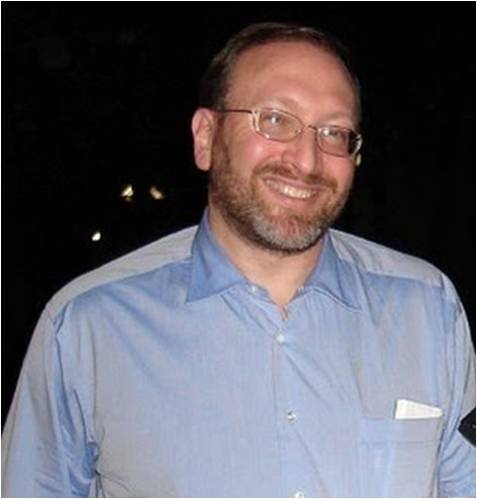 Although Seth Klarman has plowed over the competition and remained underground from the mass media, it’s still extremely difficult to ignore the long-term record of success of this accomplished mole. In the short-run, volatility may hurt his performance – especially if holding 20-30% cash. But as I was told at a young age by my grandmother, it is not prudent to make mountains out of molehills. Apparently, Klarman’s grandma taught her mole-like grandson how to make mountains of money from hills of opportunities. Klarman’s investors certainly stand to benefit as he continues to dig for value-based gems. *DISCLOSURE: Sidoxia Capital Management (SCM) and some of its clients own certain exchange traded funds, and AMZN, but at the time of publishing SCM had no direct positions in any other security referenced in this article. No information accessed through the Investing Caffeine (IC) website constitutes investment, financial, legal, tax or other advice nor is to be relied on in making an investment or other decision. Please read disclosure language on IC “Contact” page. Entry filed under: Profiles. Tags: Baupost Group, Benjamin Graham, distressed debt, Margin of Safety, Michael Price, REIT, REITS, Seth Klarman, value investing, Warren Buffett. He keeps losing money! He says don’t shoot for benchmarks, you’ll end up mediocre. Well that’s exactly what he did. Proves people are lazy, they don’t want to work hard and invest ‘bottoms up’ which is how to make high returns. Deal by deal baby. That’s it.